The Observatory has been informed by reliable sources about the continued judicial harassment, arbitrary detention and ill-treatment of Mr. Nabeel Rajab, co-founder and President of the Bahrain Center for Human Rights (BCHR), founding Director of the Gulf Center for Human Rights (GCHR), FIDH Deputy Secretary General and a member of the Middle East advisory committee at Human Rights Watch. Mr. Nabeel Rajab has been one of the country’s most vocal human rights defenders, denouncing human rights violations within the country’s Jaw prison, and denouncing Bahrain’s participation in bombings of the Saudi-led coalition in Yemen. According to the information received, on October 26, 2017, Mr. Nabeel Rajab was transferred from the Ministry of Interior’s “Qaala” police clinic to Jaw Prison. It has been reported that Mr. Nabeel Rajab is being held in solitary confinement and was subjected by prison guards to degrading treatment, including humiliating and degrading body searches, forcibly shaving his hair, arbitrarily raiding his cell at night and confiscating his personal items. Since the begging of his detention on June 13, 2016, Mr. Nabeel Rajab has been held under particularly harsh detention condition, including solitary confinement, and is regularly prevented from accessing his lawyers. 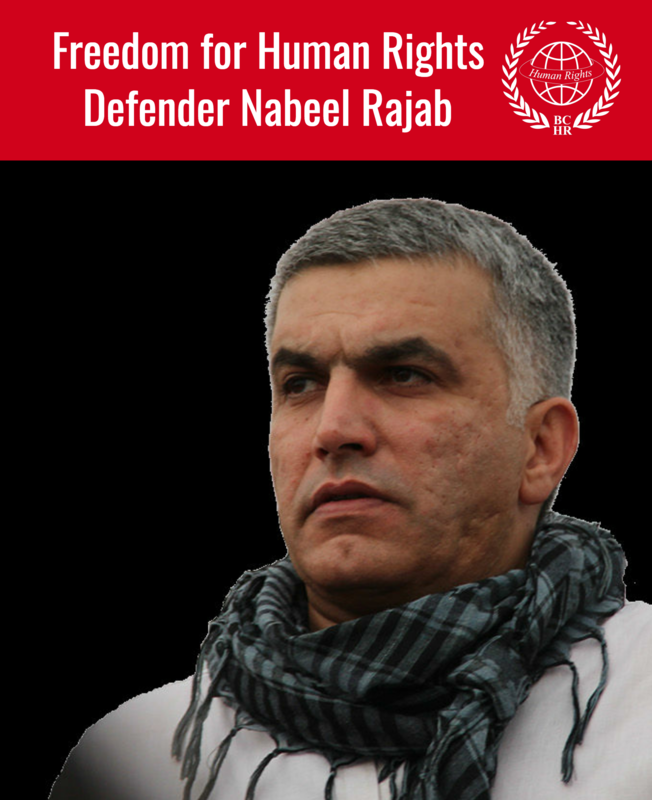 Mr. Nabeel Rajab is being harassed by Bahraini authorities in two different court cases. On October 26, 2017, an appeal hearing in the “Television interviews case” was postponed to November 7, 2017. On July 10, 2017, the Manama’s Lower Criminal Court handed down a two years’ prison sentence against Mr. Nabeel Rajab under charges of “deliberately spreading false information and malicious rumours with the aim of discrediting the State” in relation to television interviews he participated to. Mr. Nabeel Rajab faces additional charges in at least two other cases related to articles published in foreign newspapers about Bahrain’s human rights record (see background information). In the so-called “Twitter case”, Mr. Nabeel Rajab is being accused of “insulting a statutory body” (Article 216 of the Penal Code), “disseminating false rumours in time of war” (Article 133) and “offending a foreign country [Saudi Arabia]” (Article 215), which carries up to 15 years in prison. Those charges are related to tweets he posted denouncing the torture of detainees in the Kingdom’s Jaw Prison, where he is now being detained, and the human rights violations perpetrated by the Saudi-Arabia led coalition air strikes in Yemen. The case which suffers endless postponements since July 2016 will next be heard on November 19, 2017. The Observatory expresses its outmost concerns over reports of ill-treatment of Mr. Nabeel Rajab, whose health has severely degraded since the beginning of his detention. The Observatory thus urges the Bahraini authorities to guarantee Mr. Nabeel Rajab’s physical and psychological integrity. 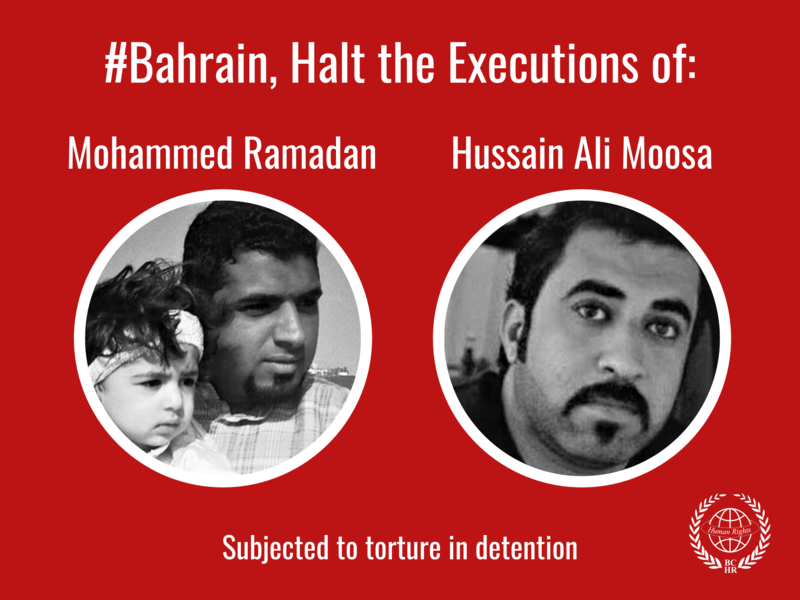 In its concluding observations on Bahrain published on May 12, 2017, the United Nations Committee Against Torture (UN CAT) drew attention to the fact that “excessive use of solitary confinement constitutes cruel, inhuman or degrading punishment or, depending on the circumstances, even torture (...)” . The UN CAT added that it was “deeply concerned” by the arbitrary imprisonment, torture and ill-treatment of detained human rights defenders, including Mr. Nabeel Rajab . The Observatory denounces the continued arbitrary detention of Mr. Nabeel Rajab, which seems to be yet another evidence of a long-standing pattern of harassment against him to sanction his legitimate human rights activity. The Observatory calls upon the Bahraini authorities to immediately and unconditionally release Mr. Nabeel Rajab, to put an end to any act of harassment against him and, in the meantime, to ensure that all judicial proceedings against him are carried out in full compliance with the right to due process, the right to a fair trial and the right to be presumed innocent, as protected under international law.